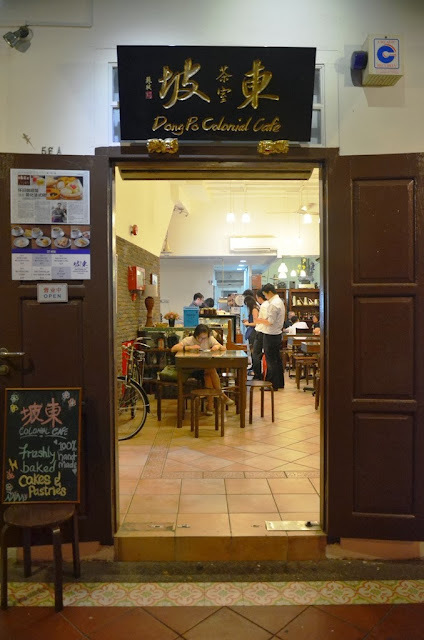 [SG] Dong Po Colonial Cafe - a nostalgic 1950s dining experience! When I first heard the name Dong Po Cafe, I was filled with excitement as it had been a long while since I last had 'Dong Po Pork', which is actually a Chinese delicacy whereby the pork belly is pan-fried and subsequently red-cooked to tenderness and melt-in-your-mouth perfection. After some looking around on the GPS and when we eventually reached the Dong Po Colonial Cafe, I was in for a rude surprise to say the least. 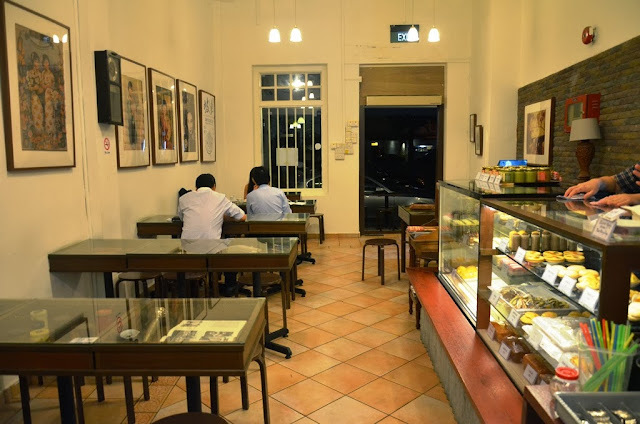 There was no 'Dong Po Pork' nor was it a Chinese restaurant, it was a cafe to experience the flavours and nostalgia of Singapore back in the '50s and 60s. 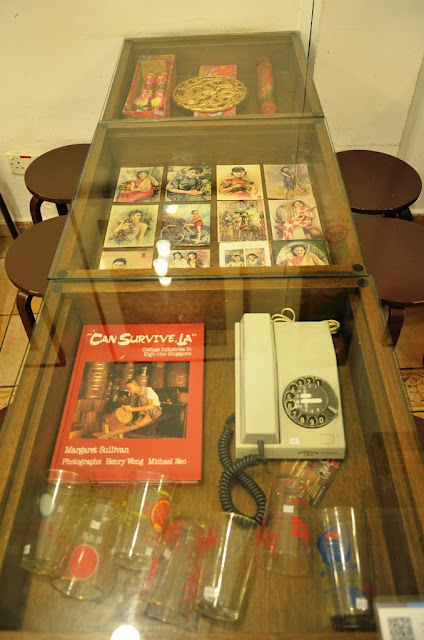 As we stepped into the neatly decorated cafe, we immediately found ourselves surrounded by toys and knick knacks from the hay days of our parents. 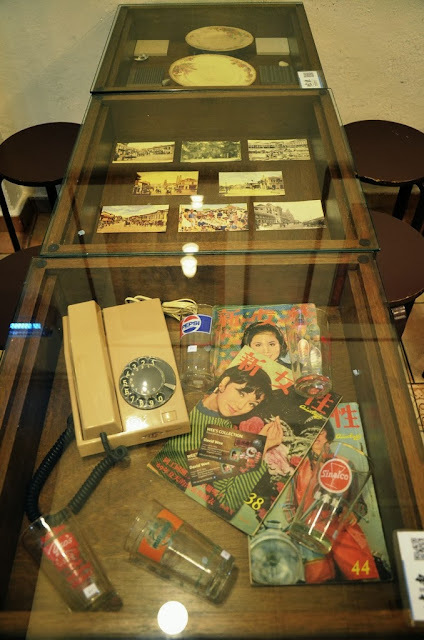 After some look around, one could only appreciate the efforts undertaken by the owner of this cafe in trying to install elements of the past into a cafe of today. 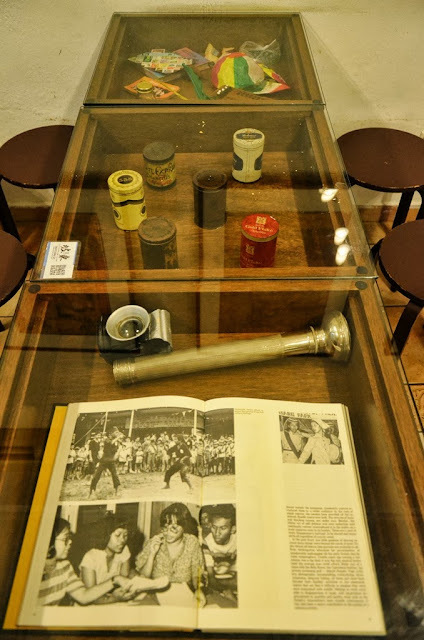 So, how exactly did the days of colonial Singapore look like? 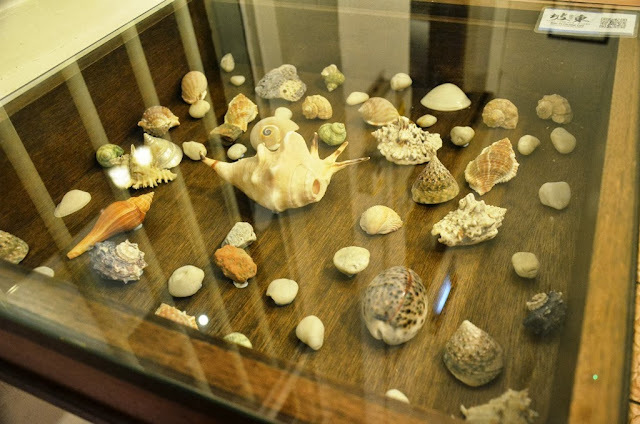 Underneath each of the tables, you could find collections dating back to the 1950-60s. 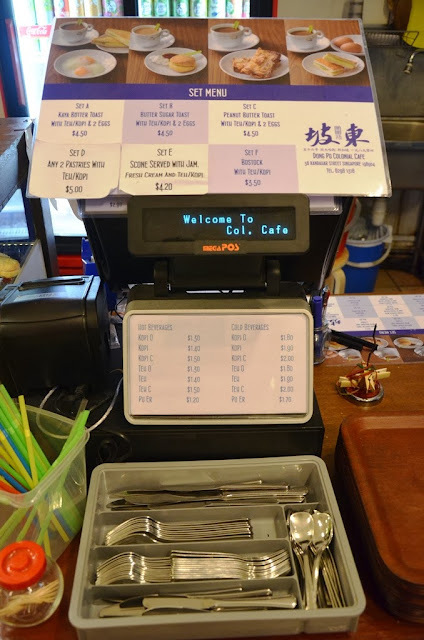 As we warmed up to our seats, we suddenly realized that we would have to place our orders in person at the counter. Deep within, I was secretly hoping that they would serve 'Dong Po Pork' as a speciality dish but after perusing the menu at the counter, I settled for the fact that this was a cafe afterall. Apart from what was offered on display, there was the set menu which featured some of their signature items which we were going to try! Upon ordering the scone set, we were given the option to choose our preferred jam. All the jams served were homemade and after going through the usual orange marmalade, strawberry, etc, we decided on the lemon curd jam. Served on the side was some fresh cream to go along with the warm scone. Personally, I love the intricate attention paid to serving warm scones. 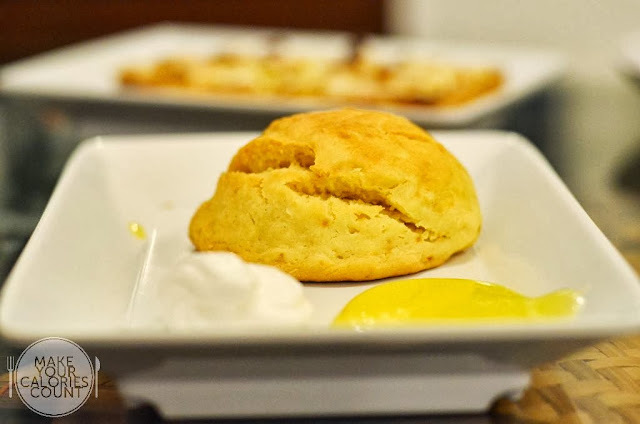 As simple as it might be, you would be surprised with the number of cafes and eateries out there who for convenience sake, serve scones at room temperature. The lemon curd was really good as the balance in sweetness and tang suited our palate and it tasted rich and viscous. While the jam was good, the scone barely made the mark as it was hard and tasted almost like biscuit with no real butter taste nor fragrance. It was sorely pedestrian to say the least but credit to the fresh cream and lemon curd for saving the day. The names on the menu did not make much sense to me, so I took the easy way out and asked for recommendations. As we were told that the 'Bostock' was a must-try, we gladly obliged and went for it. What exactly is a 'Bostock' anyway? 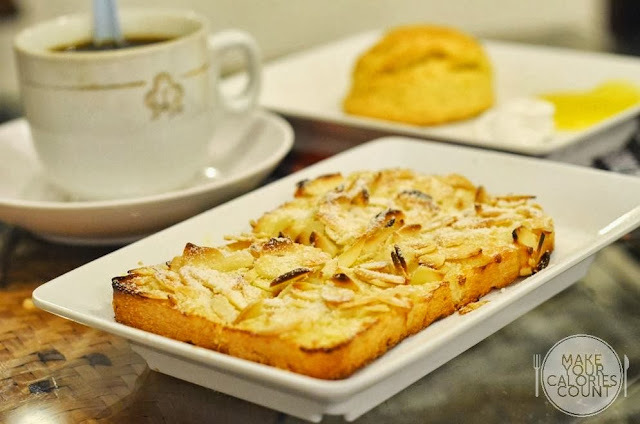 Some research revealed that it is a simple French delicacy in which an almond frangipane tops day-old brioche. Now that you get a gist of what that name entails, let the taste buds do the judging already! While we liked that the almond taste was rather strong, especially with the almond flakes generously toasted and scattered across the sliced bread, the base dough did not quite come across as a brioche. 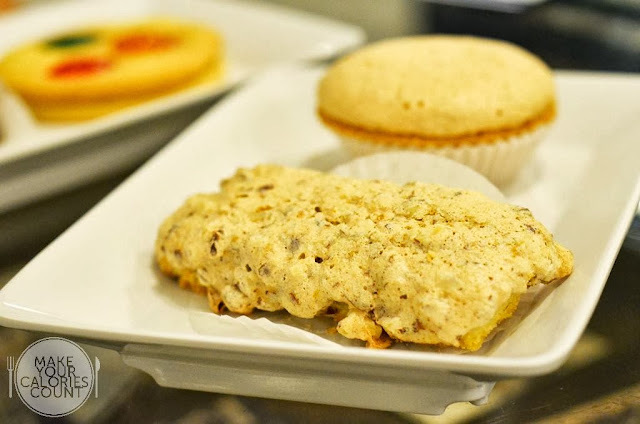 The almond flakes were crisp and added a good layer of texture to the soft 'Bostock'. It was certainly a good rendition but not wow-impressive. Of the different sets ordered, I actually liked the kaya butter toast most. The bread was sliced thinly and toasted perfectly with a nice crisp to the surface. 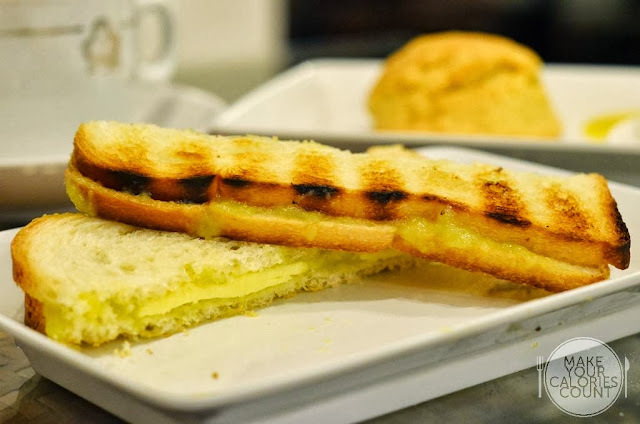 Sandwiched between the toasts was a generous slab of butter and spread of coconut jam (kaya). 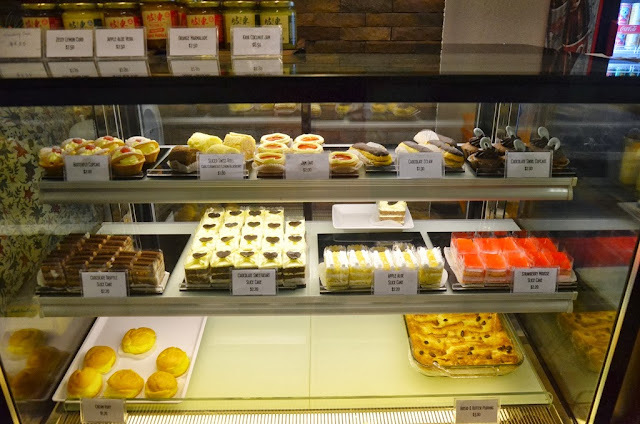 Admittedly, the kaya did not have the eggy fragance like that expected of Killiney Kopitiam nor the strong coconut/pandan taste like that of Ya Kun, it was well-balanced in terms of taste and I liked that the sweetness was mild yet sufficient to please. While this was called the almond macaroon, I am not quite sure if it matched our expectations in terms of taste. It was supposed to be a light baked confection with meringue-like cookies and when I first sank my teeth truth this pastry, I was expecting somewhat of a sweet cake with ground almonds. I am quite clueless when it came to describing this pastry for it seemed like a tart with a nice almond crust to it. It was arguably close to what one might consider as meringue-cookie but I felt that it lacked any outstanding elements to be termed a signature confection. It was overall an 'okay' pastry. I expected the almond finger to be largely similar to the macaroon and it did not surprise. 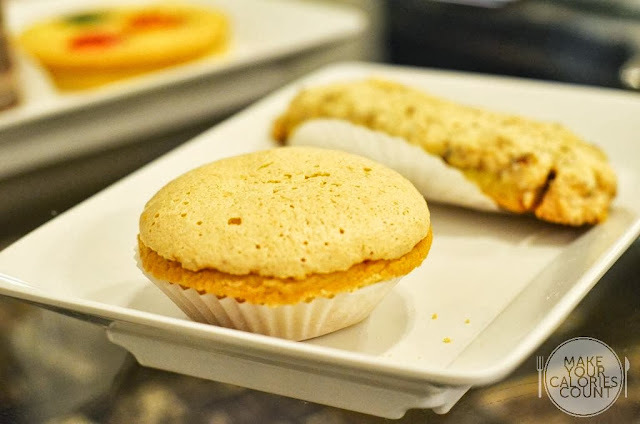 The only distinct difference was that the crust to this almond finger had a slightly harder and crisp coating to it as compared to the meringue-like almond macaroon featured above. 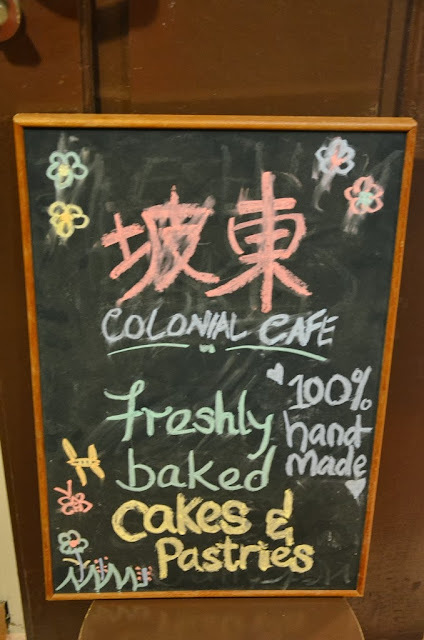 Likewise, we felt that it was an 'okay' pastry and what I particularly liked about it was that it was not too sweet but the almond taste could have been a touch stronger. While I looked beyond the almond pastries to get my confection fix, we were recommended the chocolate truffle slice. It was made and served in a very 'old school, classic' fashion. I however struggled to find any particularly impressive elements about the cake. 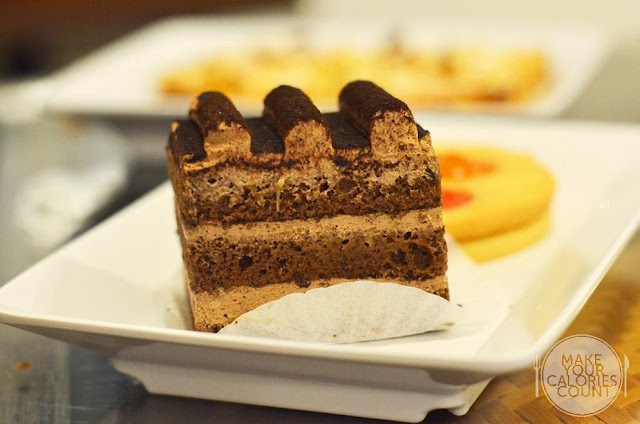 The sponge was good and so was the chocolate cream but it lacked depth to make it a must-try. This large cookie caught our attention due to the interesting colours involved. It actually comprised three different types of jam and involved two large cookies being put together like a 'sandwich'. 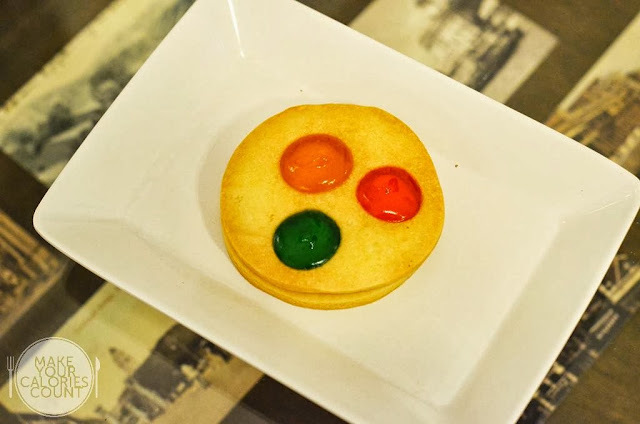 While the cookie was enjoyable on its own with a nice tinge of butter fragrance and crumbling lightly to each bite, we thought that it was an interesting twist to showcase the homemade jams, which clearly enhanced the overall presentation and taste. Even though we had to place our orders in person and payment upfront, the various confections were nicely plated and served to us. 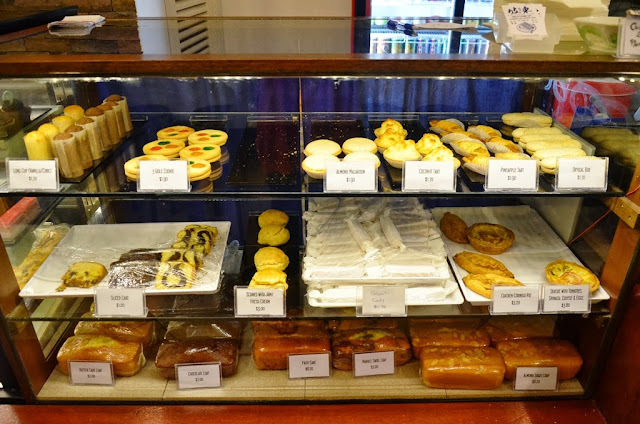 We had a milk tea and plain black coffee but like most of the confections tried, it was largely pedestrian. 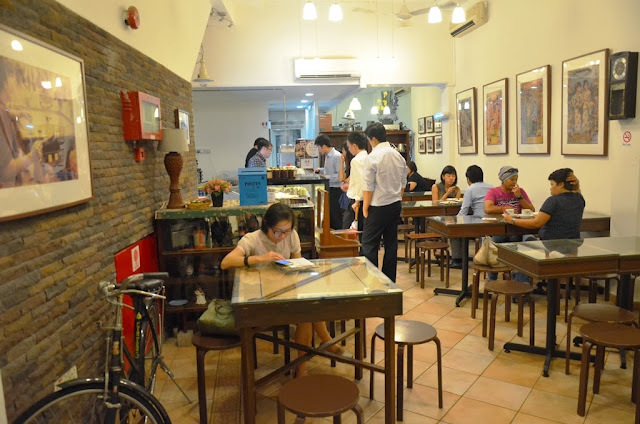 Overall, the service was good as the staffs at the counter was patient in making recommendations to us but we felt that quality of the food could be improved to make it outstanding. 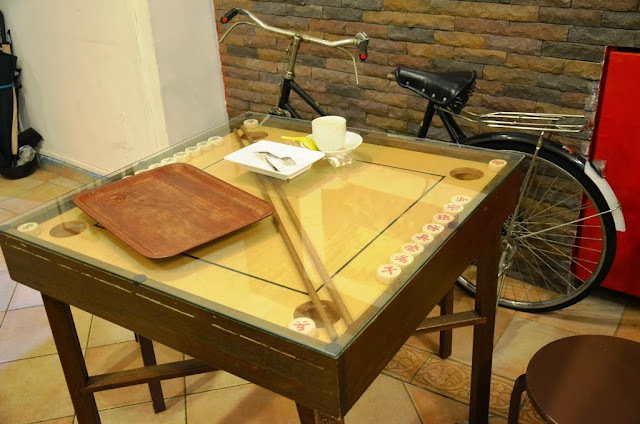 It seemed that the only drawing point for me at least, was the nostalgic decoration which attempts to bring forth a memorable dining experience.